A chocolate lover's dream cake! 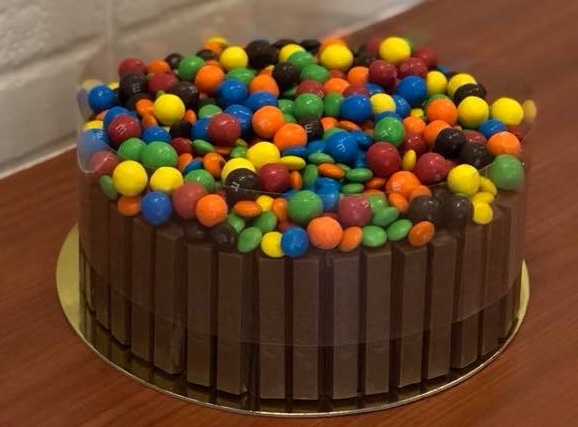 An 8-inch round moist chocolate cake surrounded with kitkat bars and loaded with M&M chocolates. Perfect for special occasions and birthday parties.